Gourmia GEG1400 Electric Raclette: comes with a vertical grilling sombrero and 6 cheese melting trays. Great for beef, shrimp, veggies, and smores. 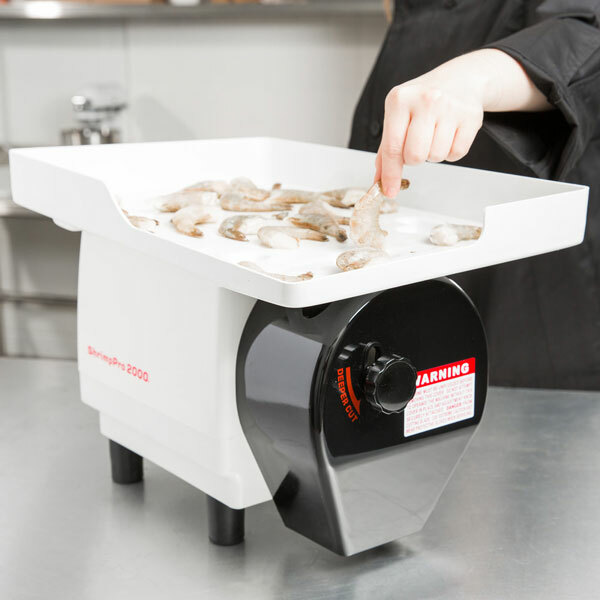 Nemco 55925 ShrimpPro 2000 Power Shrimp Cutter: this machine cuts, butterflies, and splits shrimp. You can adjust the depth using a knob. Presto FryDaddy Electric Deep Fryer: an electric deep fryer that makes delicious french fries, chicken, shrimp, and everything else. 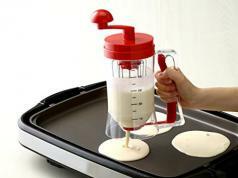 It has a non-stick surface and thermostat. WolfWise BBQ Grilling Basket: made of stainless steel, this basket has a cooking surface of 12.6 x 8.5 x 0.8in. 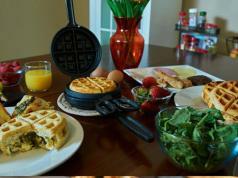 The lockable grate keeps the food in place. Shrimp Butler Peeler & Devein Machine: a machine that takes care of peeling and deveining shrimps. 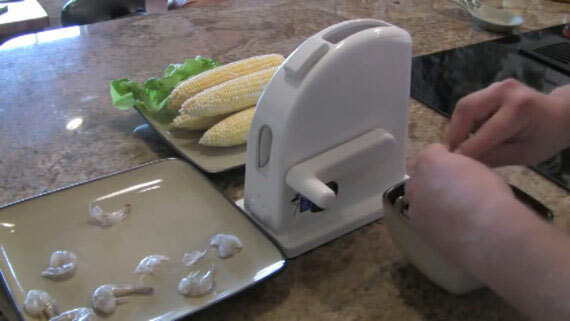 Simply insert raw shrimp, pull handle, and the rest is easy. 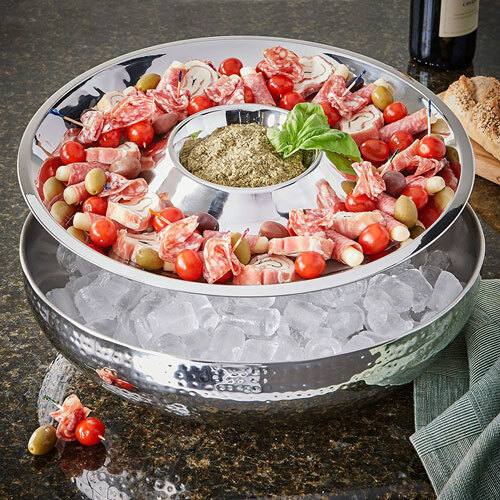 Artisan Stainless Steel Serving Bowl: comes with a 2-section top tray and insulated lower bowl for serving hors d’oeuvre and other treats. 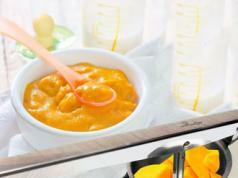 The bowl can be filled with ice or warm water to keep your foods at the right temperature. 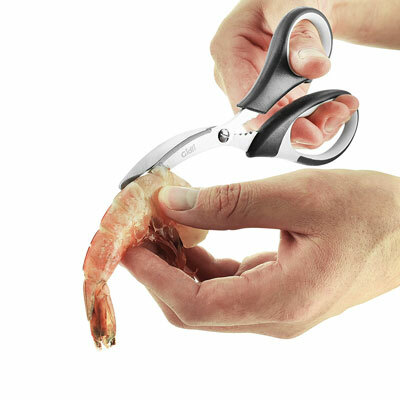 Zyliss Prawn & Shrimp Tool: has a sharp edge that gets under the shell easily and deveins in one step. 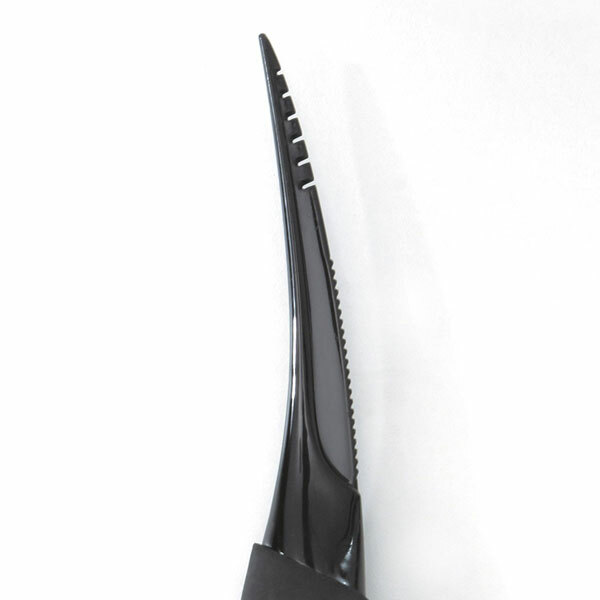 It has a scissor action to remove the head. 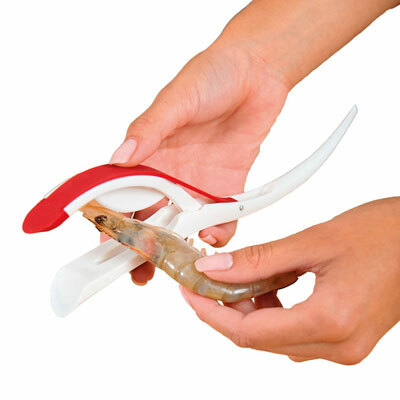 OXO Shrimp Cleaner: allows you to split the shell and remove the vein. 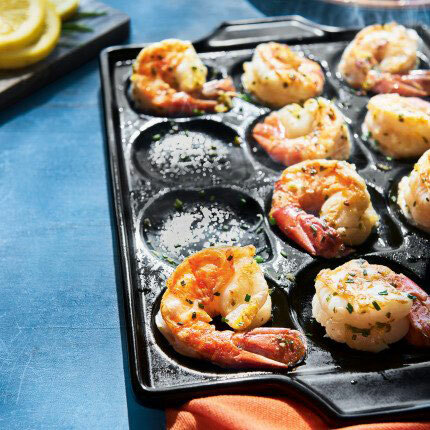 Sur La Table Pro Ceramic Shrimp and Scallop Pan: useful for grilling shrimp and scallops. It has space for 12 pieces. 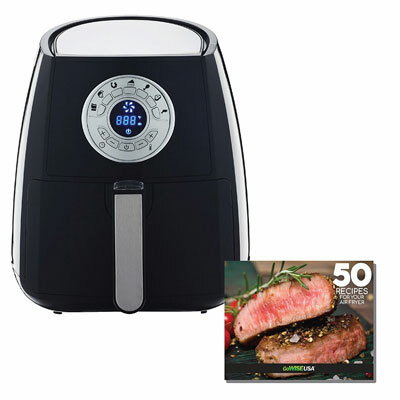 GoWISE Programmable Air Fryer: can fry your meat, shrimp, chicken, fish, and everything in between with less oil. It has temperature range of 180 to 400 degrees. 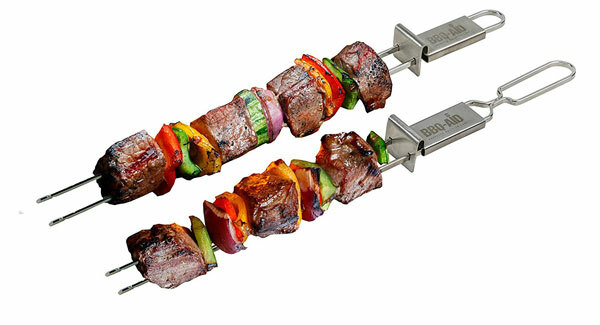 BBQ-Aid Barbecue Skewers: double pronged skewers for shish kabobs, meat, shrimp, veggies, and everything else. The skewers are 13 inches long. 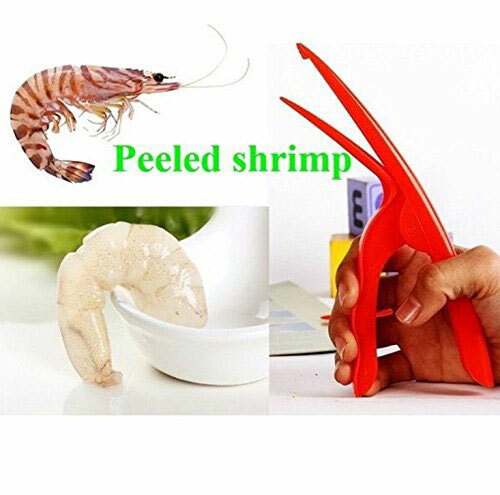 Shrimp Peeler: a shrimp deveiner that removes shrimp meat from the shell cleanly. It is dishwasher safe. Gidli Kitchen Shears: stainless steel shears for fast food preparation. Make removing shrimp and prawn shells easy. 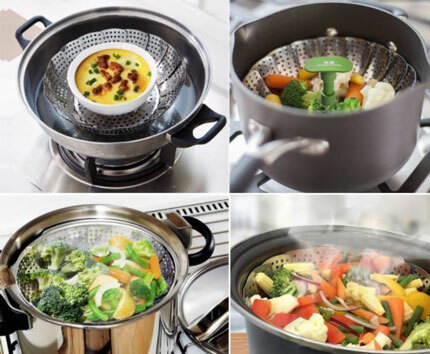 Lotus Stainless Steel Steamer Basket: expands from 7″ to 11″ to accommodate various pots. It is made of food grade 304 stainless steel. Boat Shrimp Bowl: has space for your shrimp and appetizers. It is dishwasher safe. Have you found better shrimp preparation tools? Please share them here.